Happy New Year everyone. I hope we all survived the excess food etc over the Xmas time & new Year celebrations. A good friend took a flight over our home & gave us this photo. Greg calls our house the big dog kennel!! 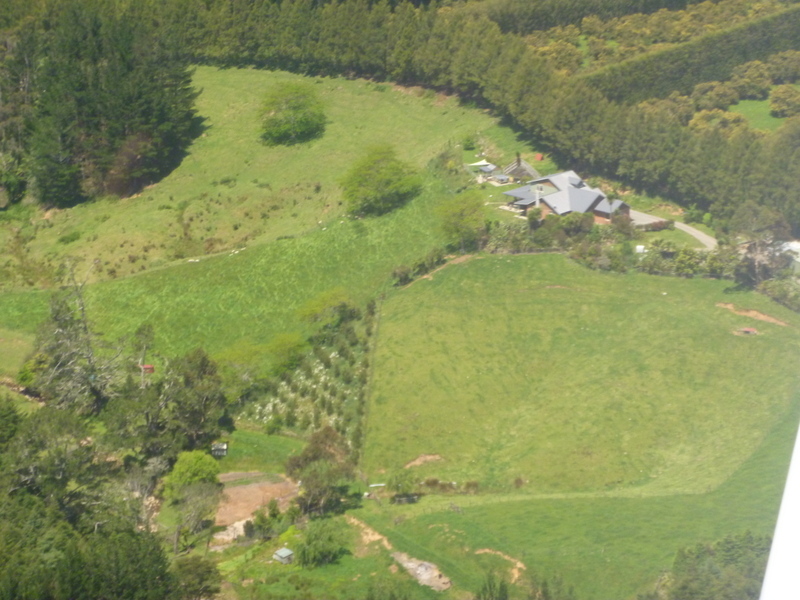 This will give you a bit of an idea of our place plus we have acres of avo’s surrounding us which we are able to walk through. Monty will be going locally & it is lovely that Michelle Jym & family have come to visit every week & see the little fellow grow. We have enjoyed the ease of having only 2 pups. No worries about them under your feet & the difference in their lack of interest in food due to no competition has been the most noticeable. Lovely little boys they both are. Neo who is our Auckland family dog has been staying over Xmas. He is so good with kids & we all laughed at the way Casta had him tucked up on her knee like a baby. Talk about tolerant!! We are still waiting for Trinity & Charlie to come into season. It has been pretty hot so maybe that has delayed things.. I don’t blame them as who would want excess heat on board in these conditions.. Mind you I do enjoy the summer & the heat.. just not when you have to work in it!!!! Rain & dogs is not what I call fun!! !